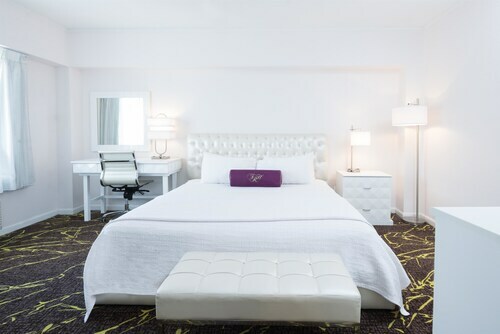 Located in Queens, this hotel is 1.6 mi (2.6 km) from St. John's University and within 6 mi (10 km) of Flushing Meadows-Corona Park and Citi Field. Madison Square Garden and United Nations Headquarters are also within 12 mi (20 km). 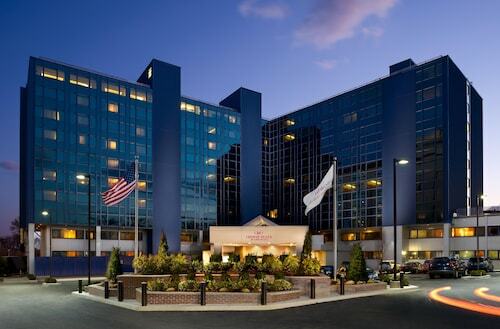 Radisson Hotel Hauppauge-Long Island is just off the Long Island Expressway, next to the Hauppauge Industrial Park and 40 miles (64.3 kilometers) from Manhattan. 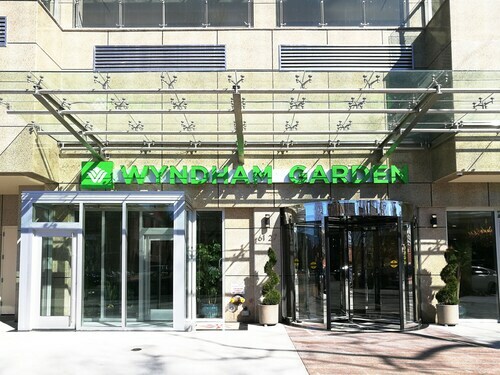 Located in the heart of Long Island City, this hotel is within 3 mi (5 km) of Memorial Sloan-Kettering Cancer Center, Roosevelt Island, and 5th Avenue. United Nations Headquarters and Central Park are also within 3 mi (5 km). Long Island City - Court Sq. Station is only a 5-minute walk and Queens Plaza Station is 5 minutes. 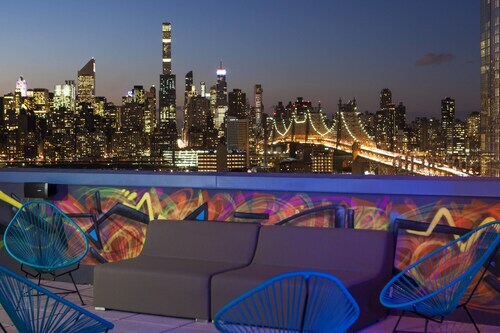 Located in Bedford-Stuyvesant, this hotel is within 3 mi (5 km) of Barclays Center Brooklyn, Prospect Park, and Brooklyn Museum. Brooklyn Bridge Park and New York University are also within 6 mi (10 km). Kosciusko St. Station is only a 5-minute walk and Myrtle Av. Station is 7 minutes. Situated in Port Washington, this golf hotel is within 3 mi (5 km) of Americana Manhasset Mall, Harbor Links Golf Course, and Nassau County Museum of Art. NYIT Old Westbury Campus and Old Westbury Gardens are also within 6 mi (10 km). Situated in Plainview, this hotel is 1.1 mi (1.8 km) from Old Bethpage Village Restoration and within 3 mi (5 km) of Plainview-Old Bethpage Community Park and Cultural Arts Playhouse. Bethpage State Park is 3 mi (4.9 km) away. You can find 3 star hotels in Freeport that keep you close to all the great sightseeing and activities around the area, or even book a place that’s a bit more secluded, if that’s what you prefer. No matter what you’re looking for—whether you’re all about the location or are invested in on-site perks--Travelocity will help you find the accommodation that works best for you. When it comes to options, you’ll have them. The Freeport 3 star hotels give you plenty of choices as far as access to the best areas, and many also offer a breakfast buffet, as well as plenty of other amenities like high-speed Wi-Fi and an on-site pool or spa. Whatever you’re looking for on your next getaway, browse Travelocity’s big selection of hotels to ensure you get the best possible deal. 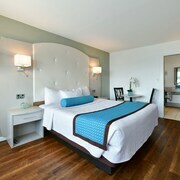 Book one of the best 3 star hotels in Freeport today! It is close to airport and has shuttle service. Rooms have hard surface flooring. The property is very upscale, and the location is right in Roslyn. You can walk everywhere in the village.